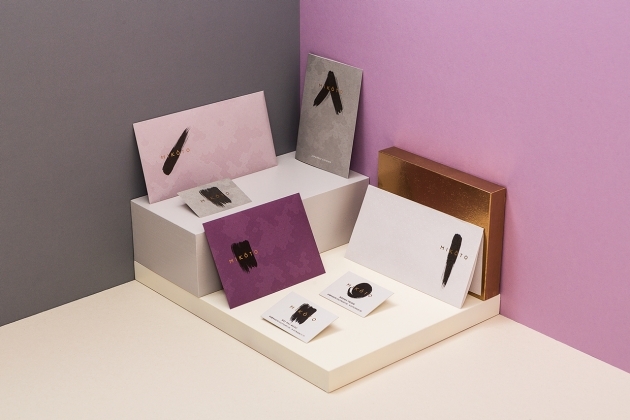 Barcelona design studio Forma & Co has created a tasty brand identity for a new concept of premium fast-food restaurant, specialising in 'cocas', which is baked bread with tomato and ham, and all centred around the culture of cycling. 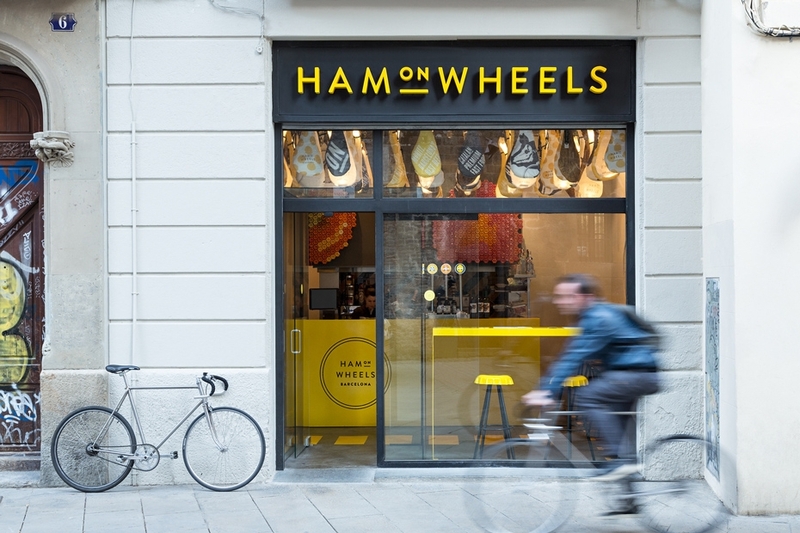 Aptly named Ham on Wheels, Forma & Co has created the logo and accompanying typeface, choosing a bright yellow colour palette that's used throughout the entire branding, including signage, coasters and menus. The studio has even designed graphical elements for the interior of the restaurant, led by designer Chu Uroz, such as decorative hams shaped as bicycle seats, hanging from the ceiling and road markings that are dotted across the flooring.